– Irish distance runner Fionnuala McCormack taking away some positives from Jemima Sumgong‘s EPO bust. SURVEY: More important for Centro: Mile or 1500??????? Jemima Sumgong went from a 2:29 marathon to 2:20. Are these improvements normal for an EPO user? LRC Six Years After Seeing The First Atomic Bomb Detonate in Hiroshima, Shigeki Tanaka Became the First Japanese To Win the Boston Marathon And soon the Japanese were a marathoning power. Read all about it. *Matt Centrowitz Pulled Out With Strained Hamstring Alberto Salazar said “it was just a little tweak,” but he didn’t want Centro to risk racing on it so he did a workout instead. *Sun Angel Classic Results BYU’s Shea Collinsworth ran 2:01.51 to beat out former world indoor champ Chanelle Price. Sprint action included wins from Phyllis Francis in the 400 (51.63) and GB’s Chijindu Ujah in the 200 (20.39). UCLA: Results: Rafer Johnson / Jackie Joyner Kersee Invitational Invy At UCLA Interesting results included American Jr. record holder Candace Hill beating out Olympic LJ champ Brittney Reese in the 100m with 11.29. Reese also took the 200 in 22.68. Olympic HJ Champ Derek Drouin Sets Decathlon HJ World Record With 2.28m Drouin finished 4th in his first decathlon since 2010 at the Sam Adams Invy. 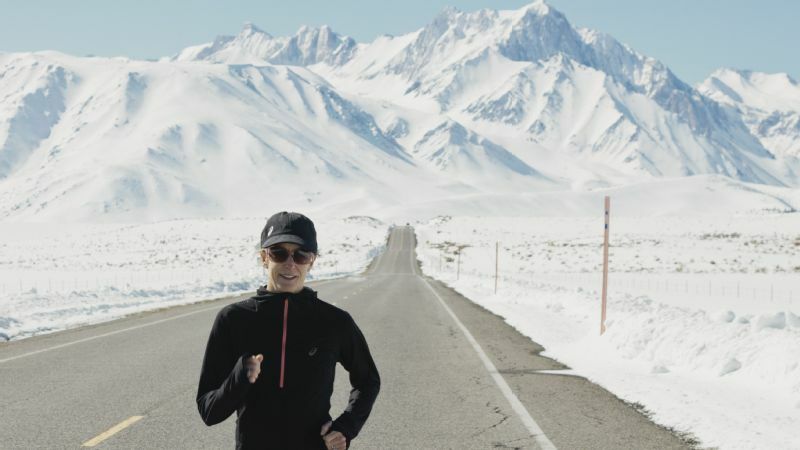 Paula Radcliffe Advocates For Making Doping A Criminal Offense In addition to being a bigger deterrent, it would make it easier to catch dopers as police can conduct searches. Polish Canoeist Considering Legal Action Against The IOC For Banning Him For Clenbuterol Positive At 2008 Olympics Adam Seroczyński is angry that he got a 2-year ban while Jamaican sprinters were given a free pass. 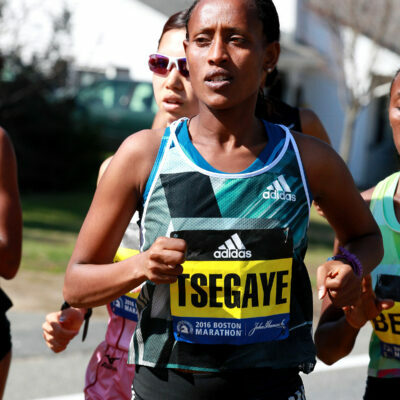 Jemima Sumgong’s Drug Bust Will Delay The Naming Of The WMM Series Winner, Which Is Set To Close For This Cycle At Boston Sumgong leads the point standing so they won’t be able to name a winner until her doping case is final. Tennis Federation (ITF) President David Haggerty Refuses To Condemn Tournaments’ Decision To Let Maria Sharapova Compete Many players are upset that she’s been given wildcard entries so she can compete immediately after her ban without having to qualify. USTFCCCA Profiles New Decathlete Record Holder Lindon Victor He came up clutch in discus after fouling in the 1st two events. 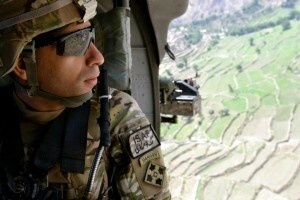 Doug Gillon: Miguel Francis’ Arrival Sparks The “Plastic Brit” Debate Once Again The author notes how Saif Saaeed Shaheen supported 30 people back home with his earnings. Former Georgia Star Megan Malasarte Is Now Part Of Atlanta Track Club – Will Compete For ATF For 1st Time This Weekend She was part of the Brooks Beasts. 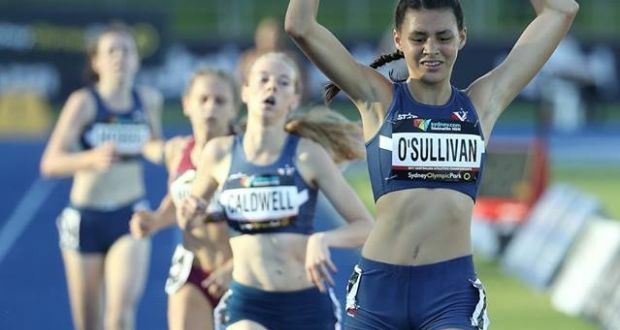 Sonia O’Sullivan’s Daughter, Sophie, Won The U-17 Australian Title In The 800 (2:10.00) And 1,500 (4:29.17) In Sydney’s Olympic Stadium And mom (who has nothing to do with her coaching) was there to enjoy it with her. Olympic Gold Medalist Matthew Centrowitz Wants To Break The American 1,500 Record This Year He says Webb’s mile record is steep – apparently not knowing that the 1,500 record (3:29.30) is better than Webb’s mile conversion (3:30.06). 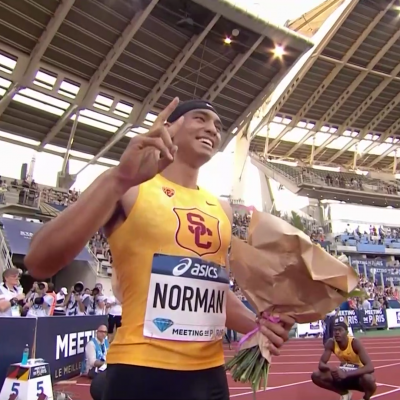 Fantastic News NBC And IAAF Reach Long-Term Deal For Broadcast Rights To Diamond League Through 2019 Great news as the Diamond League will be on a much bigger platform now and NBC is becoming the home of track and field on TV in America (they also have rights to USATF meets). Plus, 10 hours of DL on NBC, a huge step up from BeIn Sports last year. 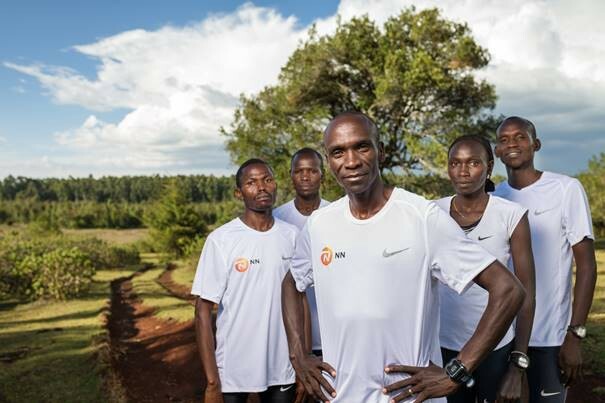 Confusing News Kenenisa Bekele And Eliud Kipchoge Join Forces – They Are Now Part Of The “NN Running Team” Which Seems To Also Be Sponsored By Nike If you understand what this is, please email us. *More From Alberto Stretti. 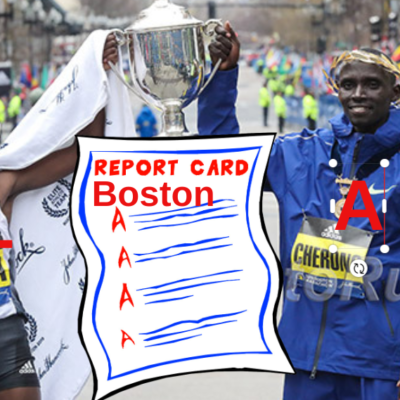 LRC WTW: Was Witchcraft To Blame For Joshua Cheptegei’s World XC Collapse, All Hail Stephanie Bruce, And A Possible Scientific Explanation As To Why Women Collapse So Often At The End Of Races In our weekly recap this week, we declare Stephanie Bruce as our new hero as she rocked two races that were 9,000 miles apart in the span of 5 days, we take a look at a very interesting theory that some Ugandans have as to why Joshua Cheptegei blew up, and we try to find a scientific explanation for why so many women collapse at the end of cross country races. 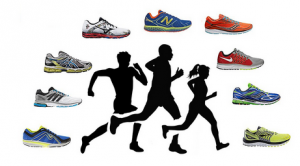 LRC Does Science Explain Why So Many More Women Than Men Collapse At The End Of Races? 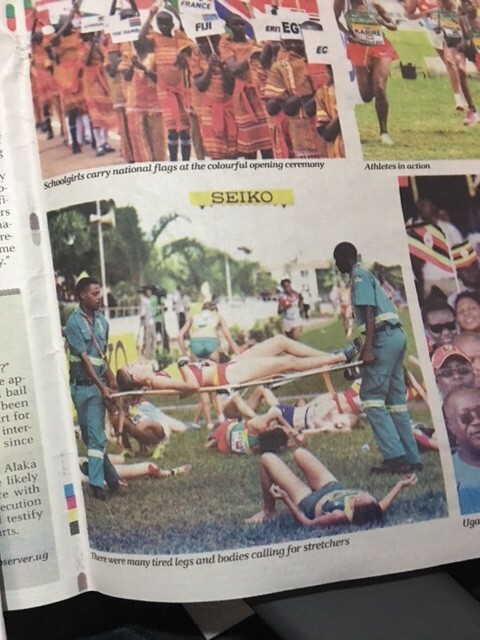 The next time you see scores of women collapsing at the end of a race, you might want to think twice before assuming this means they are less tough than men. London Qualification The Goal For Aussie 4 X 400 Squads At World Relays Top team earn automatic qualification for Worlds. Register-Guard: Oregon Sprinter Hannah Cunliffe Says They Had Talked About Getting AN NCAA Record This Year, But Hadn’t Expected It So Early Cunliffe credits “good “chemistry” and “smooth” hand-offs to the UO women breaking the 4 x 100 and 4 x 200 collegiate records last weekend. Texas A&M’s Lindon Victor And Oregon Women Sprinters Are NCAA Athletes Of The Week Victor broke the collegiate decathlon record while Makenzie Dumore, Deajah Stevens, Hannah Cunliffe and Ariana Washington broke the 4 x 100 and 4 x 200 records. 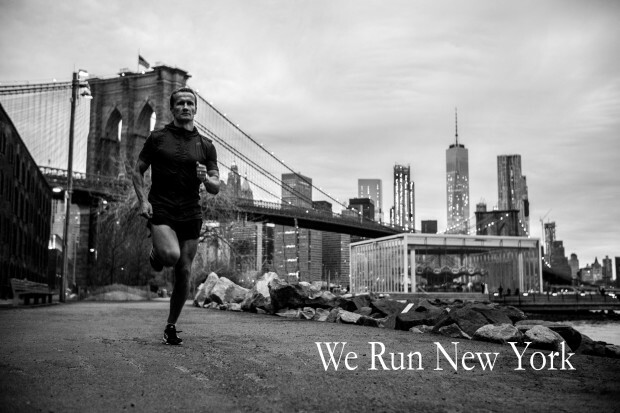 Support A Cool Documentary About Running In NYC “We Run New York” is a series “about the different facets of running within NYC’s diverse landscape” and will include segments on the NJ-NY Track Club, Coach Gags and the Fifth Avenue Mile. Study Names The Top 10 Cities For Runners Madison, Wisconsin is on top with Portland rounding out the top 10. How did they leave off Flagstaff? 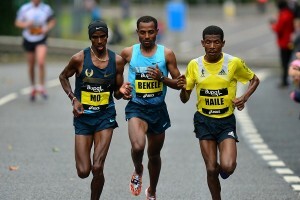 Rotterdam: Kenya’s Marius Kimutai (2:06:04) And Ethiopia’s Meskerem Assefa (2:24:17) Cruise To Rotterdam Marathon Victories Both took hard fought victories as Lawrence Cherono (2:06:21) and Eunice Chumba (2:24:27) had close runner-up finishes. Steeple star Paul Kipsiele Koech bombed his debut as he was with the leaders through the half, but faded to 15th in 2:12::02. Paris: Husband-Wife Duo Paul Lonyangata (2:06:10) And Purity Rionoripo (2:20:55) Take Paris Marathon Crowns Rionoripo broke the CR to win a really close race, finishing just 2 seconds ahead of Agnes Barsosio. Purity Rionoripo trains in Jemima Sumgong’s group. Hannover: Kenya’s Allan Kiprono Wins Tight Race Over Compatriot Philip Sanga And Norway’s Sondre Moen To Take Hannover Marathon Title Kiprono won in 2:09:52 with Sanga and Moen both clocking 2:10:08 in 2nd and 3rd. Fate Tola won the women’s race easily in 2:27:48. Grenada: Steven Gardiner Breaks Bahamian National 400m Record With 44.26 At Grenada Invitational Running from the “B” heat, Gardiner upstaged former Olympic Champ Kirani James, who ran 45.44 to win the “A” heat. Other meet highlights included a world lead from Ashley Spencer in the 400H (54.78), and wins from LaShawn Merritt (200 – 20.42) and Mike Rodgers in the 100 (10.17) as Asafa Powell ran 10.18 in the “B” heat. 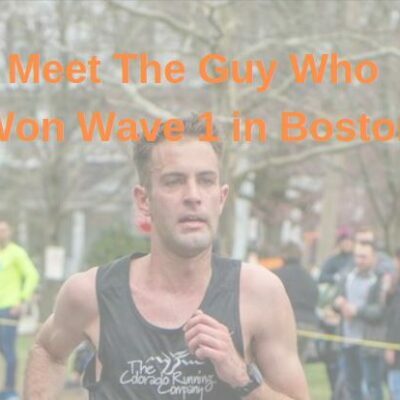 Good Read: Man Journeys From Drug Addiction And Living Under A Bridge To Running The Boston Marathon Danny Dwyer needed shoulder surgery, but can’t take pain meds for fear of relapse so turned to running instead . 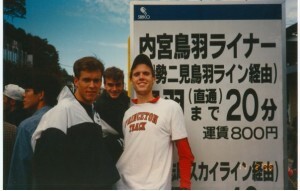 Cloud 259 Podcast With US Olympian And Former Marathon Champ Blake Russell The 41-year-old has come out of a brief retirement to race Boston hoping for around a 2:32. Drones Added As Security Measure For Boston Marathon The 15-pound drones can zoom for a mile and fly for days. Good Read: How Former Basketball Player And NAIA Triple Jumper Cora Gallop Became A Top DI Steeplechaser In her first steeple ever last week, Gallop broke the University of Nevada school record and ran one of the top times in the NCAA this year with 10:14. MB: Jim Walmsley wins the 2017 Gorge Waterfalls 100k in 8:20:29. LRC Analysis Oh Sh**, Olympic Marathon Champ Jemima Sumgong Tests Positive: What Does It Mean And Where Do We Go From HereThe Olympic and London champ was caught in an out-of-competition test in Kenya as part of the enhanced testing program supported by the Abbott World Marathon Majors. 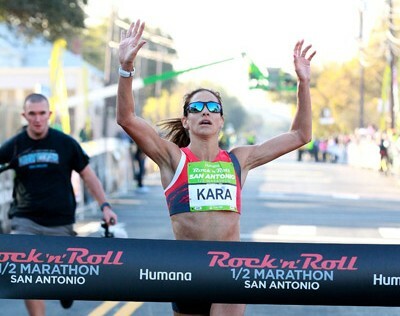 We break down what this means for the sport, for her training group, her agent, her husband/coach, and for Kenya. 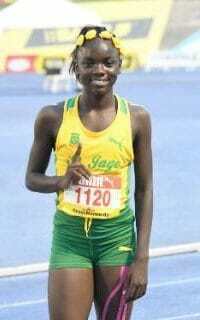 *Discuss MB: The emperor has no clothes: Jemima Sumgong has tested positive for EPO!!! A Look At How Some Pros Are Reacting To Sumgong’s Positive We love Shalane Flanagan‘s response, “What is real anymore?” Meanwhile, Hellen Obiri is worried the whole country will end up banned like Russia. 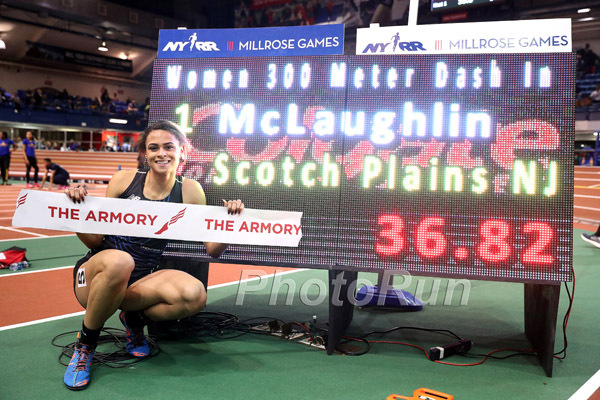 The Establishment Of The Athletics Integrity Unit (AIU) Is A “Momentous” Move For Athletics And Could Form A Template For Other Sports To Follow We certainly agree that track and field deserves credit for being the only sport that really somewhat tries to bust its biggest stars. Michael Johnson Says He’s Always Viewed Athletics As A Leader On The Anti-Doping Front We actually agree and that’s a scary thought. It’s really just a huge indictment of the NFL, NBA, MLB and soccer. Ireland’s Fionnuala McCormack Is Upset IOC Didn’t Look Into 2008 Olympic Clenbuterol Positives “They don’t really want to find out the truth. That’s when we’ve (got) a problem, when organisations like the IOC don’t want to know,” she says. The IOC says the amounts were very low and likely due to beet contamination. 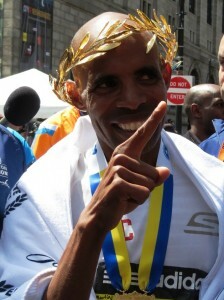 Recommended Read: RRW: Boston By Meb – In His Own Words As Meb Keflezighi prepares to race his final Boston Marathon, he looks back and shares some of his favorite memories from Boston. *IAAF Profile: Jepkosgei Front Running Her Way Into The Record Books Jepkosgei was inspired to take up running herself when watching her husband compete at the 2013 Kenyan Championships. Racewalkers Petition IAAF To Keep 50K Event In The Olympics There is a push from the IOC to cut the event since there is no women’s equivalent and the IAAF is discussing moving to a half marathon walk rather than a 20K and 50K. *AP Article 28 Americans have registered, but may not get visas in time to compete. April 23: Two-Time 5,000m Worlds 4th Placer Viola Kibiwot Making Her Marathon Debut At The Hamburg Marathon Former Olympic and World champ Stephen Kiprotich leads the men’s field. Women’s Sports Takes Another Hit: Transgender Girl Competeting Against High School Girls In Connecticut As a freshman running without blocks, she is already running times that could win the state championships. MB: Cooper Teare Wins Arcadia 3,200 In 8:41 To Lead 25 Sub-9 Minutes Austin Hindman was second (8:43) and NXN champ Casey Clinger was third (8:44). 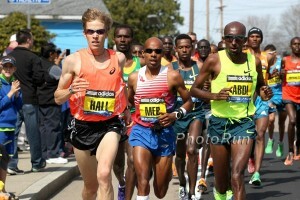 MB: More than 100 PRs in Arcadia 3,200m races? MB: American Fork Breaks HS 4 X 1,600 NR With 16:41 By Going 4:08, 4:05 And 4:02 On Last 3 Legs Plenty of college teams don’t have 3 sub-4:10 guys. IAAF Rotterdam Preview: 2017 Rotterdam Marathon Men’s Field Full Of Winners The race director wanted a field full of guys who recently won races as he has 8 of them plus 2017 NYC runner-up Lucas Rotich. Steeple star Paul Kipsiele Koech will make his debut at age 35. Hanover Marathon Preview: Frankfurt marathon expected to feature conservative 65 flat first half German NR holder Arne Gabius is finally healthy and hoping to finish his first marathon since 2015. Germany’s Fate Tola intends to attack the course record of 2:27:07 in the women’s race. Powell, Gatlin, Collins For This Weekend’s Grenada Invitational – Men’s 100m Is Loaded VCB is also in the meet as is Kirani James. Early May: Japan names young team for 2017 World Relays None of the guys on the 4 x 100 team that won Olympic silver last year are on the team as the oldest member is just 20. Elijah Manangoi’s Coach Says The “Time Has Come” For Him To Chase The 1,500 WR And That He’s Ready To Do It Hicham El G‘s WR turns 19 this year. President Kenyatta Of Kenya Vows To Build 3 Big Stadiums – In Nairobi, Mombasa And Eldoret We hope they aren’t track-only stadiums as a country with Kenya’s size/wealth doesn’t need three huge track-only stadiums. IAAF Is Going To Hold A Women’s Marathoning Development Training Camp In Tokyo In Late August We have no idea why the camp, which will feature runs a 7:00 am (same time as Olympic marathon), is for women only. It will be hot as hell in Tokyo. Good Read: Australia’s Former Olympic 100H Champ Sally Pearson Is Back On Track After Losing Years To Injury Pearson, who still can’t do normal pushups after her hurdle crash and broken wrist, won her 12th national title last weekend. Former US Sprint Great Maurice Greene Reflects On What He Considers The Greatest Challenge Of His Career Greene says his greatest challenge was “continuing to be myself” and not letting stardom go to his head. IAAF Launches Athletics Integrity Unit Website; Former WADA Director General David Howman Appointed Chair Well, hopefully things can only go up from here. Seb Coe Apologizes To Athletes After Their TUE Info Was Stolen In Latest Fancy Bears Hack Coe claimed the IAAF actually uncovered the hack themselves while doing a review of their security systems … apparently too little too late. Is Anyone Surprised? WADA Report Reveals Russia Tops The List For Anti-Doping Violations In 2015 Russia topped the list with 176 violations with Italy a distant second with 117.